Have you ever wondered which company is most suitable, reliable and trustworthy to perform any specific job with Oil&Gas (downstream/upstream) and or other Energy sector? 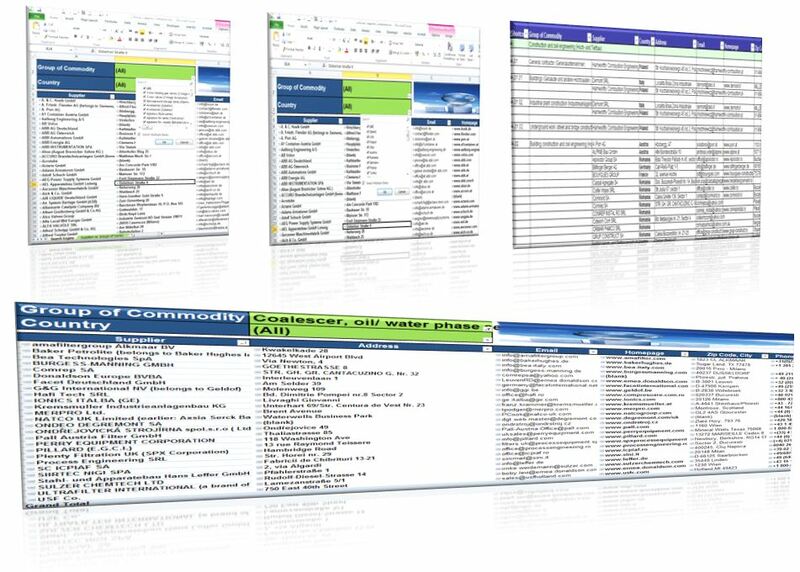 Have you ever considered which company is doing what, but never got the chance to have these information in one single place compiled in an integrated manner? Did your experience troubles pre-qualifying and assembling bidders lists based on geographical spread for any particular project and/or tender process? Trying to address just few of the aforementioned questions, Profit Inception Project is happy to offer to its followers for FREE a comprehensive and fully integrated suppliers database comprising the entire spectrum of those companies and/or group of commodities required for the execution of any phase within an Oil&Gas project life cycle (i.e. from Feasibility, Concept and FEED Studies up to EPC(M)s, LSTKs, and other types of integrated contracts). The main focus is being put on, but not limited to, the European market since any “outsider” can get easily lost in translation in this diversified economic and cultural European continent. The added value of the database is that it has the companies/suppliers grouped according to some very specialized group of commodities (i.e. spectrum of provided services and/or manufactured equipment). In addition to that, a very user-friendly search engine allows performing the search according to the geographical area (country) of interest. The database is absolutely FREE of any charge and will be received per email once the check-out is performed (i.e. just click on “Add to Cart”–>then “CHECKOUT”–>fill in your email address and that’s done, you will immediately receive the donwload link and shall be able to access the database in an instant). That’s right: It will cost you nothing, nada, zero (“0”)! When publishing the suppliers database, we aimed to address our followers’ requests and needs in compiling their bidder lists for various tender processes and purchasing endeavors. At the same time, we are also focusing on expanding and increasing its content with more valuable information so please make sure to check our website periodically or even better, subscribe as a follower so that are a notified when any updates are published. Moreover, starting with 1st of June 2017 we are inviting any relevant company to join the database and get more visible to the worldwide community of Companies, Principals, Client and Entrepreneurs. For more information please address a brief inquiry to office@inceptionproject.net and our team will be happy to support you with further steps. Most of the companies listed in this database have in their portfolio of clients most of the global major players within the Oil&Gas and Energy sectors and therefore operate on a worldwide scale throughout various established joint ventures. Register today in the database and make yourself known and heard! Now is your chance to prove your capability and build up your professional network and notoriety and boost your incomes! 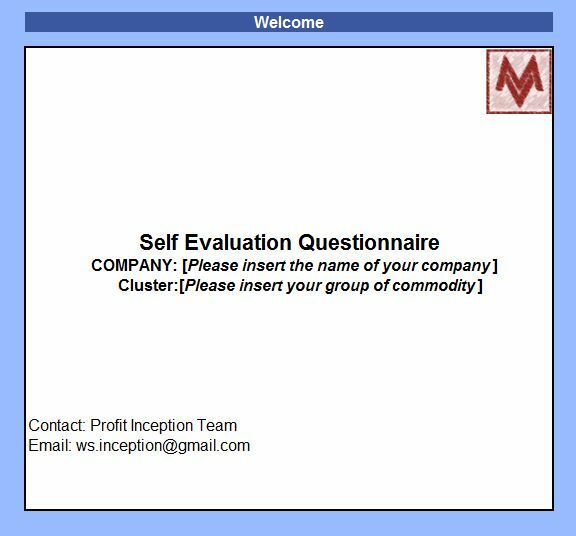 By purchasing, thoroughly completing and returning the Self Evaluation Questionnaire, you will immediately be listed in the database throughout the duration of 1 (one) calendar year and will have your chance to make yourself truly visible, thus increasing your chances for success. You can benefit of this offer and affiliated aforementioned services (e.g. listing, visibility, advertising, 1 (one) year subscription fee, regular updates, maintenance of information, etc) by purchasing the Self Evaluation Questionnaire for only USD 47,00 (which is more than a fair price considering that you’ll be paying ONLY 90 cents per week subscription and advertising fee which could prospectively lead to awards of profitable contracts by any interested beneficiaries). The value-for-money is definitely in your favor since you will hardly find any cheaper advertising fees for such an extended period of time within a dedicate project management and procurement professional network. Give your business a better chance!